Astrology gets no respect from modern medicine for plenty of good reasons. What could your birthday possibly have to do with your health? Well, new research suggests it could tell you a whole lot -- maybe more than you'd like to know. Yes, there is a kind of "health horoscope"
In 2015, Columbia University completed an enormous research study on this specific topic: it studied medical data from a whopping 1.7 million patients who came through the doors of NewYork-Presbyterian Hospital/CUMC between 1985 and 2013. Although the results are region specific, many of the findings were similar to earlier studies in other locations. Even more recently, researchers at the University of Southampton in the United Kingdom looked into diseases, specifically allergy-related maladies like asthma, and crunched numbers to see if a person's risk lines up in any way with the calendar. You guessed it -- it does. While this data says nothing about you specifically, it may help doctors be better able to pinpoint causes of (and, ideally, find cures for) these diseases. In other words, you shouldn't necessarily avoid having a baby in January, or feel you're about to kick the bucket at any moment if you were born in October. Heart disease is clearly bad news, an indiscriminate killer responsible for one out of every four deaths in the United States. The Columbia study found that January (hypertension), March (atrial fibrillation, congestive heart failure, and atherosclerosis), and April (angina) are all horoscope hotspots that have a higher relative incidence of heart-related problems. Nobody wants prostate cancer, right? Well, for those guys born in March, it may be more of an issue than you'd care to think about. While recommendations for routine screening are varied, it doesn't hurt to start thinking about what your future prostate may be up to in your golden years. For those who suffer from the sometimes annoying and sometimes seriously dangerous maladies of asthma or allergy-related diseases, your birth month may partly be to blame (or, depending on how vengeful you're feeling, your parents). The study from England highlighted fall and winter babies (basically, everyone born between September and March) as those with the highest risk for these ailments, while the Columbia study showed that it's most common for those born in September. 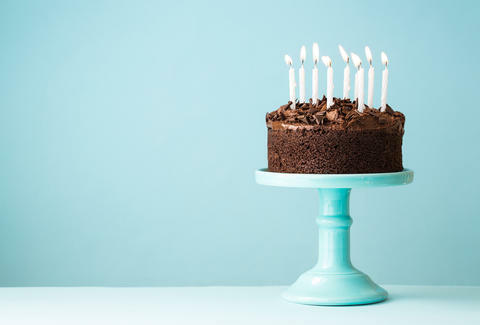 While October doesn't stand out as having one particular disease associated with it, researchers found that an October birthday carries the most overall health risk. On the flip side, May was associated with the lowest overall health risk. Incidence of ADHD spiked around those born in November, with Columbia's findings reflecting a similar study out of Sweden. Respiratory disease, such as bronchiolitis, may be more common for people born in November. And for some reason, propensity for things like vomiting (September) and bruising (December) seems to be affected by birth month as well, as odd as that may sound. Of course, it's extremely important to note that there are many, many different factors that result in developing such conditions, from genetics to environment to diet to exercise. You probably realize that people born in July get heart disease, and having a September birthday isn't an ironclad guarantee of asthma. Whatever you do, don't blame your parents or the calendar too much, don't freak out that you're going to croak at any moment, and don't let this info stress you into an early grave. It's just a horoscope (albeit a science-y one), and as everyone knows, it doesn't always speak your truth. Monica Beyer is a health writer who was born in March, so, um, yeah, better stop slamming bacon cheeseburgers. Follow her: @monicabeyer.